11 Oct High quality, affordable gap year program? Here’s one. Affordable gap year programs are hard to find. The other day we went online to look and the results amazed us. Most gap year programs cost more than $1,000 a week. That’s $20k for a semester. For many people, that’s just not possible. You might have even spit your orange juice all over the breakfast table when you realized how much these programs charge. But don’t worry, just because you’re interested in a cheap gap year program doesn’t mean you have to sacrifice the quality of your experience. It turns out we’re one of the most affordable Gap Year programs out there. When we ask our students why they chose us, many say words like “community,” “philosophy” or “strong recommendations.” Another thing we commonly hear is that our programs are relatively affordable. You can see in the table above that most programs charge $20k for a semester. That’s over three times the amount we charge for our programs–definitely not a cheap gap year program. We’re passionate about providing affordable Gap Year programs because we don’t believe in contributing to education debt. We were able to face the risk and uncertainty that came with starting the High Desert Center because we didn’t have debt. We believe that it’s incredibly difficult to make choices that represent your values and the skills you want to pursue while paying off loans. Many students who join us for our programs earn the money themselves, and the act of working for this experience demonstrates our collective value of self-reliance. When we read stories like this one, or this one, or this one, we are motivated to provide incredible educational opportunities that are accessible. So the question is, why is it that we’re so much more affordable than other programs? We work hard to keep costs down because we like being an option for students who need to pay their own way. We live simply ourselves, we don’t hire accountants, we drive older cars and use our personal vehicles. All these things help with costs. But this isn’t the main explanation for our cheap gap year programs. We know that being thrifty has benefits on top of being kind to your wallet. Our programs help you learn new skills and see different ways of being in the world, sometimes even more so than when you’re dropping a ton of money. For example, although we have nothing against flying to Ecuador or Italy, we prefer driving in a van to Northern Mexico. Here’s why we love it. This type of learning, which is rich, adventurous, and local simply costs less. Cheap gap year programs do not necessarily mean a less quality experience! Just because you might be looking for a low cost program doesn’t always mean you’ll be looking at lower quality programs. Some of the best moments in our lives have little to do with money and more to do with the people we’re with, the uniqueness of the challenges we face, and our sense of being successful. A Toyota Camry and a Lamborghini are both “quality” cars, but they provide different types of “quality.” Gap year programs at all price points can be of equal quality as well, but with differing expectations about their perks and supports. Here are some of our favorite low cost learning moments. 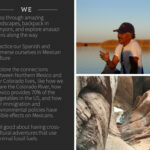 We choose these things over expensive plane flights to Peru and hiring rafting companies. The mountains that make up our wild backyard are dear to us. We value a lifestyle that feels full of adventure all the time, not only during expensive vacations. We also value using less gasoline and making good compost. If your dream gap year program is to visit the best beaches around the world, that’s obviously not us. It’s probably not a low cost trip either. 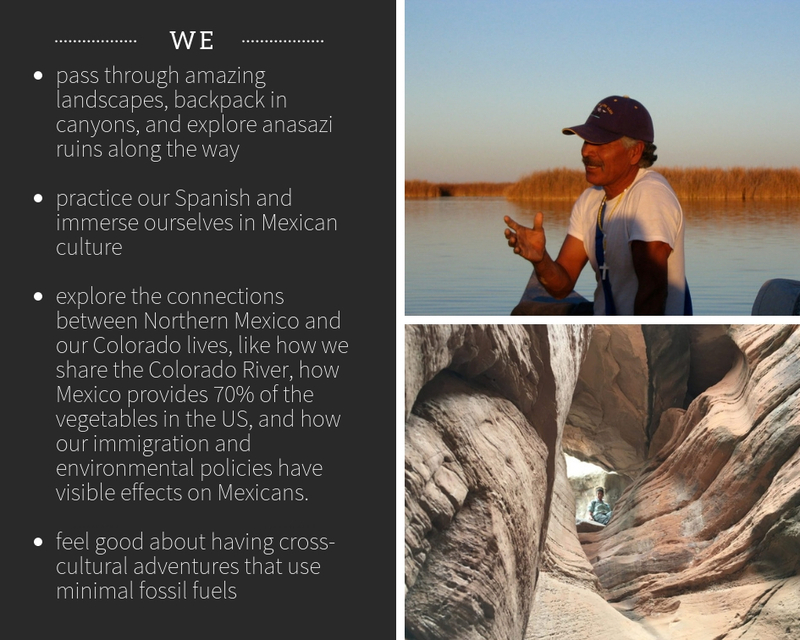 Our locations, some of the best kept secrets in the western US, are low cost places to travel. We create low cost, high quality programs that are markedly different from other programs because we value student initiative. Students decide much of what we do. They also cook, make bread, and clean the composting toilet. Self-reliance and the ability to make stuff happen are skills that we all value. If you’re embarking on a gap year with the intention to grow, it’s unlikely you’ll do this work alone. Living with a group of peers and taking on challenges you’ve never encountered is sure to push you. Having awesome staff who support you is essential. When we say that looking for an affordable gap year program doesn’t always mean that the quality is sacrificed, we know the importance of high quality staff. Our staff is one of our greatest assets because they create transformational moments and motivate our students to get past things that were holding them back. By the end of your gap year you have a bunch of awesome friends, memories, and stories. You also have a stronger sense of who you are. Consider your Gap Year an investment in yourself. One more time for the people in the back: inexpensive gap year programs do not = low quality gap year programs. $7,500 dollars seems like a lot for a program. That works out to around $1,200 per month for the time we’re actually together. Most other programs charge over $3,000 more per month. We provide excellent value, when you factor for room, board, travel, a ton of learning opportunities, and guidance. The main reason our programs are relatively affordable has to do with what we teach and model. Our goal is to help participants figure out ways to lead a happy, inspired and purposeful life that is socially and environmentally responsible and affordable. It feels easy to buy a plane ticket overseas and hire adventure companies to take us on exotic adventures. To figure out how to create a sustainable lifestyle full of adventure feels like a bigger, more important challenge. It just so happens that the latter challenge is also more affordable. High quality Gap Year programs, committed to your financial freedom, exist. 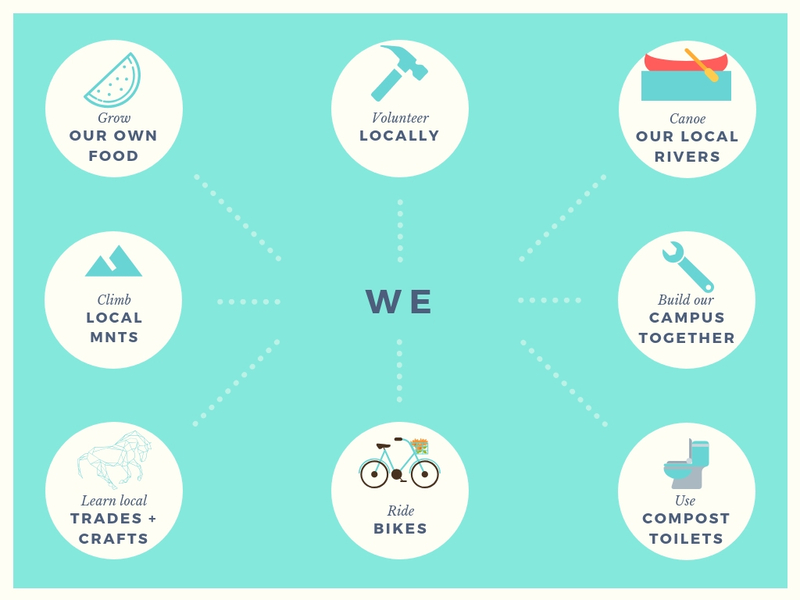 Being thrifty can go hand and hand with ecological responsibility, adventure, and growth. If it’s cheaper, easier on the environment, and delivers adventurous learning moments, why wouldn’t you apply? Check out our affordable Gap Year program here and apply today. Thank you guys for this program.